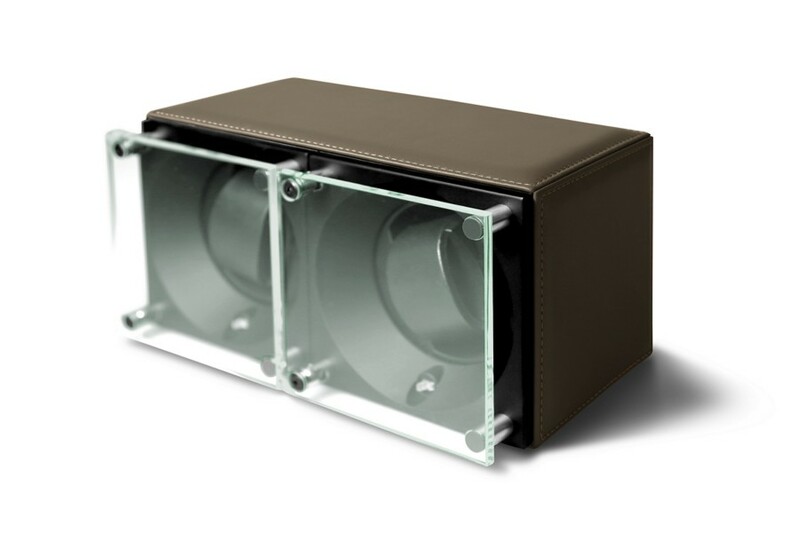 The manufacturers of automatic luxury watches advise the use of a watch winder, when the watch is not on the wrist. If such a watch is updated manually each and every time, it will gradually affect and damage the mechanism. 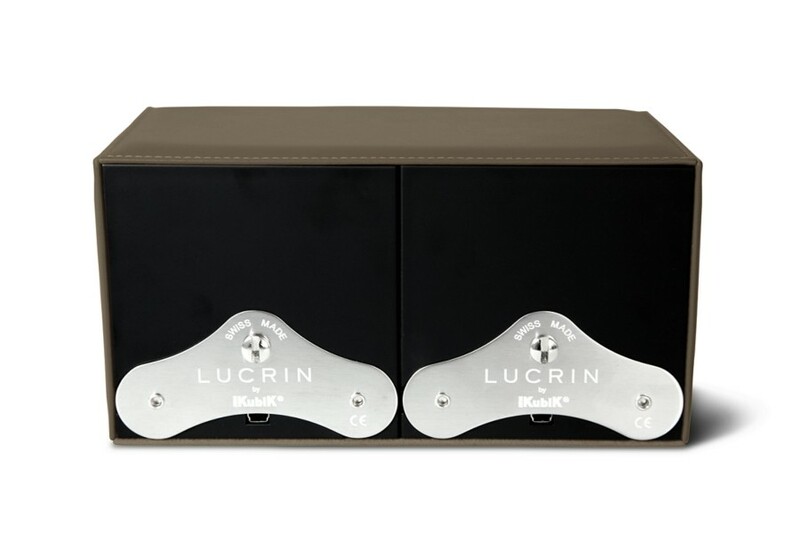 In association with SwissKubik, the Swiss Leader of watch winders, Lucrin is proposing this exclusive watch winder for 2 watches, which can be designed as per your wish and tastes. We are the only ones who propose more than a hundred of possible combinations in terms of colours and leathers with various textures (smooth and granulated cow leather, goat leather, real ostrich leather, alligator-style calfskin). You may pick the colour of the thread used and even choose to go for a beautiful engraving, for instance, your initials or your watch name or model. 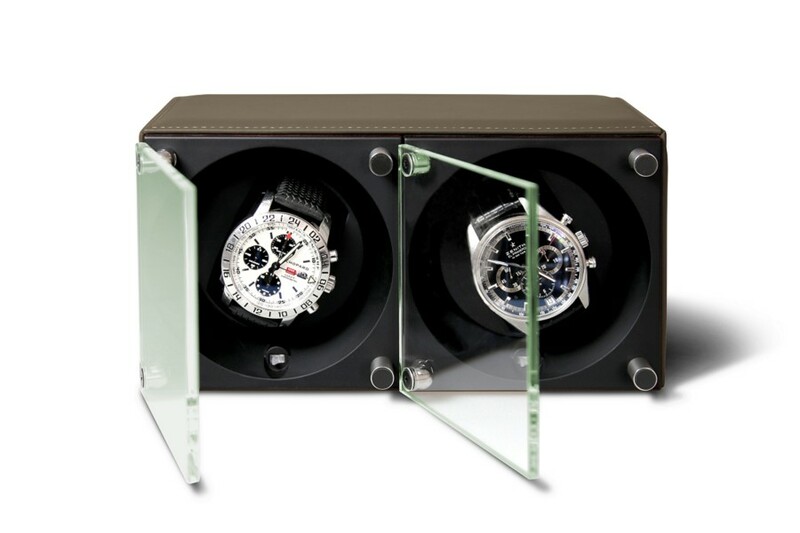 Of course, each of the two watch winders is programmable according to the brand of the watch that it will welcome – the 2 motors function independently. You can set up your SwissKubik via the SwissKubik app from Google Applications. 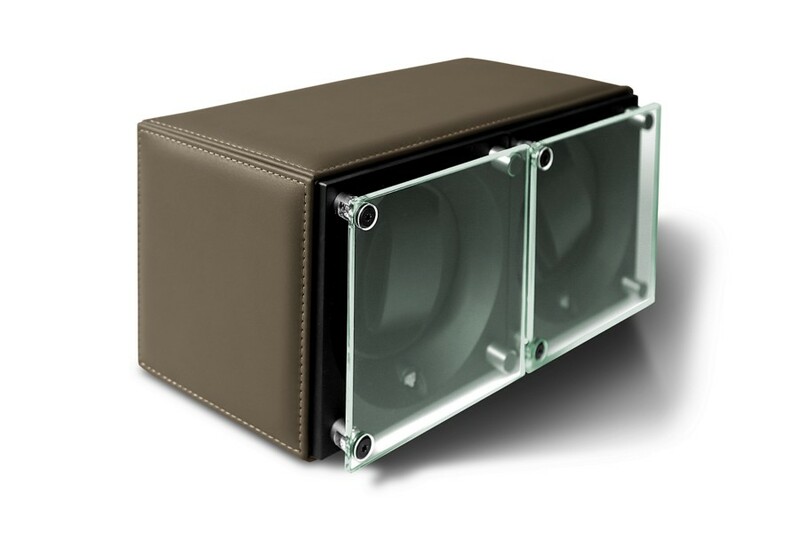 - Individual USB set-up of the number of rotation cycles for each winder, via the SwissKubik application.